…Or is it? 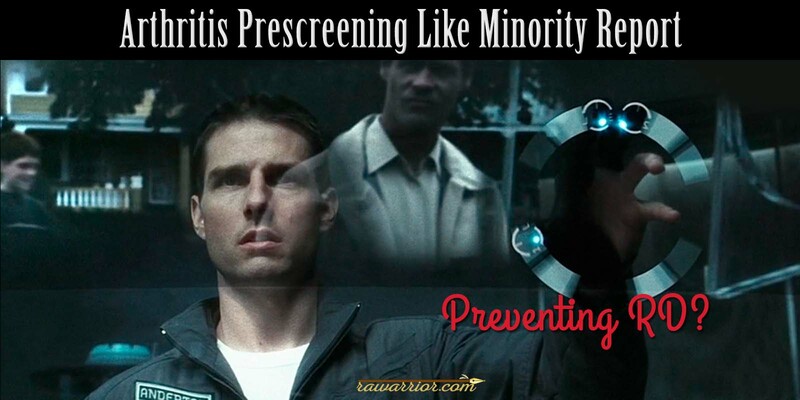 When I read Dr. Scott’s creative newspaper column, comparing rheumatoid arthritis prescreening to Minority Report, the sci-fi flick about punishing crimes before they happen, I didn’t know where to begin. I love movie analogies – there are a bunch of them on this blog. But Dr. Scott Anderson’s blog in the Daily Republic missed the mark somehow. The research he worries is a waste of time and resources, or possibly ethically wrong, is the research for our cure. Learning how rheumatoid disease begins to destroy a body is critical to learning how to stop it or prevent it. My early morning comment on Dr. Scott’s blog is reprinted below. But first the title, Science fiction nears reality with arthritis prescreening, of his blog offers a clue to the confusion. Arthritis prescreening may accurately refer to the research, but these words are misleading. Rheumatoid disease is not the same thing as arthritis, as most of my dear readers know too well. And “preclinical” is also confusing. I have avidly followed this research for several years. In so-called arthritis prescreening, first-degree relatives of people with rheumatoid disease are voluntarily screened with anti-CCP testing. In some cases they are closely observed or receive mild DMARDs such as Plaquenil. Since rheumatoid antibodies are known to be present years before joint symptoms are bad enough to fit diagnosis criteria, I believe many of these arthritis prescreening patients should be considered already sick. Anyone who reads some of the comments on this blog knows that symptoms often begin long before diagnosis, and not always in joints. What about you? Thank you for your creative analogy. Nicely done. I’d like to comment on a couple of assumptions that, if expanded, might make more clear the necessity of preclinical rheumatoid disease research. You wrote that the autoimmunity eventually “…escalates into the body’s defensive system attacking its own tissues, causing the arthritic deformities of rheumatoid disease.” Actually, rheumatoid disease (RD) affects several body systems and dramatically increases mortality. Unfortunately, as treatment has been limited to addressing the arthritic symptoms of the disease, mortality with RD has not improved, creating the Mortality Gap, as its called by researchers at Mayo Clinic and elsewhere. Therefore, the urgency of identifying RD early would be greater than you state. Also, the concept of “preclinical” is a misnomer. Doctors consider RD to be diagnosable “clinically” when they are able to measure symptoms like dramatic swelling in the office in the joints they most suspect to be affected. But few people with RD (PRD) fill that clinical definition early in their disease course. For example, doctors want to see swollen MCP joints, while knees or neck joints are as likely to be affected first. So there is a serious problem with the clinical definition of RD. Most people who have the disease can point to symptoms they have experienced for several years. We have confirmed this with a large survey published by the Rheumatoid Patient Foundation at rheum4us.org. Also, please understand that “changing the disease course” often means the difference between being able to be productive and becoming dependent on others due to disability. 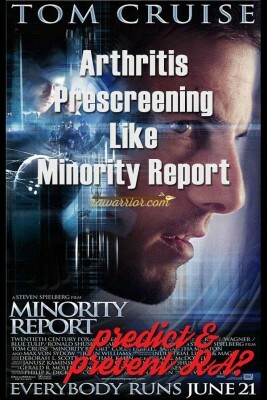 While I love your Minority Report analogy, it does break down earlier than you suspect. Having worked as a patient advocate and researcher for several years, I consider those with “subclinical inflammation” to already be PRD. They indeed have very early RD. And while their joint symptoms may still be mild, the RD could and often has already affected their cardiovascular system, lungs, skin, or eyes. I have talked with researchers and watched this research eagerly for several years as I’ve watched 3 of my 5 children exhibit symptoms that I know are too early to diagnose in the US. With musculoskeletal ultrasound, used widely in Europe, it would be easier to identify. The expensive MRI and PET scans you mention are not necessary. Also, the test that ought to be run for identifying RD is an anti-CCP test that identifies antibodies to citrullinated protein. It is not very expensive. It is highly specific to RD. There is not a high false positive at all. You may be referring to the rheumatoid factor test, which is not very specific to RD. It was just created first and named thusly. Finally, the medicines that might be used in such very early RD situations would not necessarily be expensive as you say. Methotrexate is the drug of choice, used in very low doses. It is not very expensive compared to biological medicines which might be used if the disease progressed despite early treatment. Thank you again for covering this topic. Coverage of RD tends to be slim and glib. My comment to Dr. Scott’s blog was typed into a comment box and not as well done as I wished. The points are still important enough to share with you here, but there’s one more thing. Personally, I wish there were an effective way to convey the enormity of possibly averting even one full-blown case of rheumatoid disease. Is there a way to explain that without the emotion that makes people discount patients? Here’s a quick stab at it. People who live with the disease full time would give almost anything to have been able to alter their fate. Mild cases aside, RD is suddenly and progressively disabling, carries a heavy burden of systemic disease contributing to earlier death, and causes excruciating pain in any or all of dozens of joints. The Rocky and Bullwinkle Show cartoon is a better comparison than Minority Report. Snidely ties people up on railroad tracks where they are inevitably in grave danger from oncoming trains (hilarious video below). Dudley Do-Right finds and rescues them. First-degree relatives with rheumatoid antibodies are like the people tied to the track (coincidentally most of them women). Treating them to delay or prevent full-blown disease is a rescue no one can underestimate. Anyone who has watched this disease destroy a loved one would not deny the value of such a rescue. WHAT DO YOU THINK? IS IT A WASTE OF RESOURCES TO STUDY HOW TO PREVENT RD? LET US KNOW IN THE COMMENTS. I think most if not all research is for a medicine to help. I do not know of any research being done looking for a cure. If you know of any please correct me. I’m in my car Jan so maybe i can add more to my reply later from the computer . But there definitely is. I feel very strongly about this issue too because I have a son – I mentioned this to my Rheumy who expressed that his chances are good because he is of course a male. However men do have this disease so I shall be vigilant. In my own situation I experienced awful pain in my knees as my first symptom which my wonderful GP picked up on and ordered blood work. I was positive for RF and ANA from this I was referred to a series of Rheumatologists who were frankly horrible. Fortunately I found my current Dr who is truly wonderful. He listens – and is working hard to find the right meds for me. What though if I had not tested postive??? Would I have fell through the cracks? Would I have suffered joint damage and erosion for not being treated on time? I still have a reduced mobility largely due to fatigue, stiffness and joint pain. It could be so much worse if I hadn’t had the good fortune of a GP who listened to my complaints of painful knees on waking and difficulty walking in the am. Surely families where the risk of auto immune diseases are higher than the average population should be tested? Cancer screenings are viewed as important so why not. My own sisters have Lupus and thyroid problems. Im so glad you persevered until you found a better doc. I just replied to someone else about that the other day. It’s so hard, but it’s what we have to do. Well Kelly one of the rubbish Rheumatologists sneered at me. Fortunately my husband was with me and made sure I reported this to my GP who then sent me to the wonderful Rheumatoligist I see now. I probably would have believed the rubbish Dr and given up for awhile! 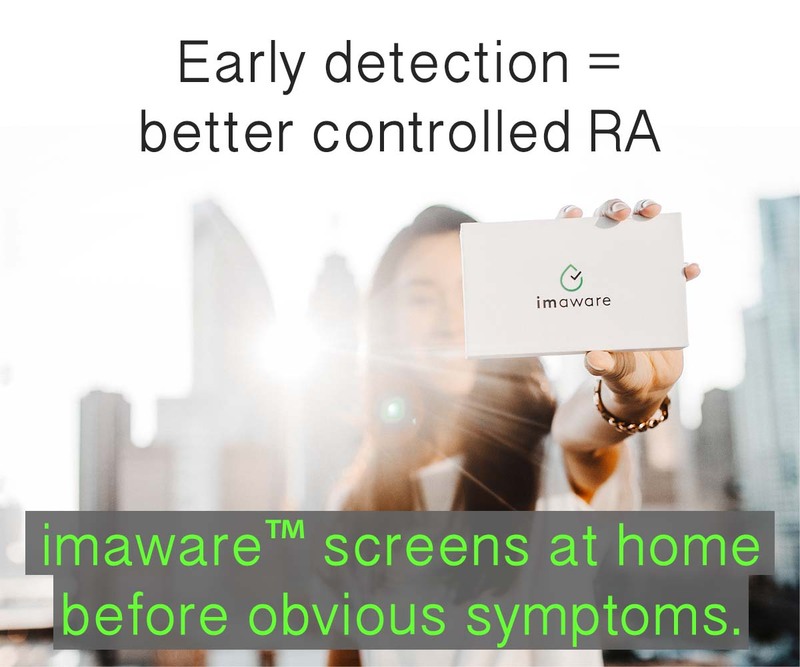 I “knew” I had RA and had a grandmother with severe RA. The doctor I went to at the time, let me suffer with swollen hands for a long time (about 2 months) before I got a rheumatologist referral. I did not know to get a second opinion. I am doing well now after 2 knee replacements, and biological drugs but wish so much I had an early diagnosis. I share your concerns. 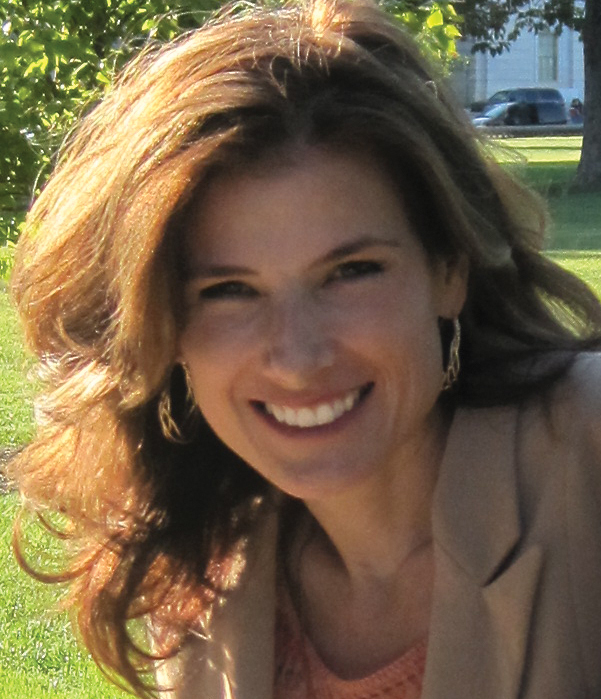 I have strong autoimmune disease family history, and I have RD/Lupus overlap. I also have a daughter. I test negative for the RA factor, but I have tested positive for anti-CCP in the past. Strangely, my recent anti-CCP was negative, despite visible inflammation. This disease is frustrating and mind-boggling when comparing lab results with symptoms! Actually, if you were to look at this month’s labs, I would be cured! No CRP, ESR, etc, etc. Ha! Yet I score in the high-moderate range of the Vectra-DA. thank you for sharing Shannon. It helps future readers for years to come. Also, I learned the hard way labs can make mistakes – once I got a negative ccp lab & my doc knew it was wrong – it’s always as high as the lab estimate goes. So we re-did the test 2 wks later at a different lab company – and it was as always, as high as their lab counts. So that negative one was just done incorrectly – many opportunities for human error in the process actually. So next time yours could be positive. Hi, I”m very new in the RA world. 38 year old female. I had a major reaction with both thumbs and a couple fingers 2 weeks ago. my first BIG red flag, but looking back, have had some painful nodules on my toes here and there for a few years, and stiffness and aching for years. anyway, just had my RF, CRP and EST back. all in normal range, but have been very anemic for 10 years despite supplementing. 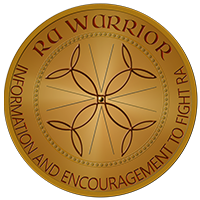 I’m confused and honestly frustrated and not sure where to go next as I was getting my fighters ready for RA after identifying my symptoms. Like mentioned here. I don’t want to wait until I’m truly dibilitated to try to get on top of this, if RA Is what might be happening here. Any input would be greatly appreciated! Pre-screening would have been fantastic. I am trying to be a case of relatively early diagnosis now, but it’s tough. After 8 days of swelling in my hands and feet, I went to my GP concerned about RA because my mother has it. She told me that it’s not RA because I don’t have morning stiffness, but that she’d give me a rheumatoid factor test to put my mind at ease. It came back negative, which is no surprise, as my mom is seronegative. I’m now seven weeks into swollen hands/feet and minor pains in my fingers, wrists, elbows, knees feet, and ankles. After visiting my mom’s out-of-network rheumy, his notes convinced my GP to send me to a Kaiser rheumy even though she says “Rheumatoid Arthritis test was done and was negative,” by which she means the RF test. I don’t know how long it will take to get into that, but I’m hoping for an anti-CCP test and sed rate test soon. I watched my mom go through three years of swelling, pain, and excruciating physical therapy before she was diagnosed, and I don’t want to be that patient. Reading the onset stories on this website has convinced me that it is very likely that I have RA, and that I’ve had it for years – the elbows that hurt after exercise, the knee that hurts when I walk downhill, I gave up gum because of TMJ, the tendonitis in my forearm, and recurrent bouts of what I thought was “mouse shoulder” but the rheumy says is actually caused by my neck. The theory of screening and early diagnosis is great, but trying to get doctors to do it is like pulling teeth. Dear Melly, I hope you can get the tests and treatment you need asap. You’re doing such a good job educating yourself. I’m sorry ignorant doctors make it so much harder.